WUWM's Maayan Silver with Professor Shion Guha of Marquette University’s Data Science Program and Purush Papatla of UWM’s Lubar School of Business. 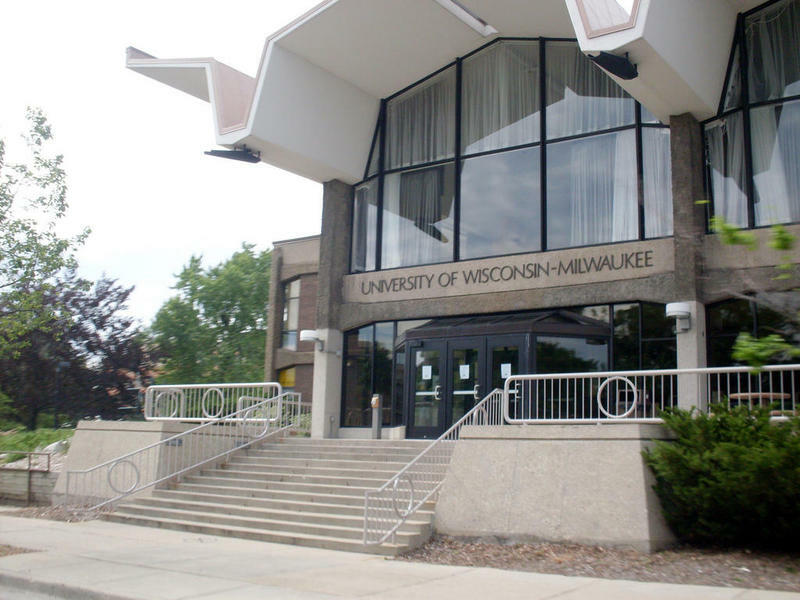 Marquette University, the University of Wisconsin-Milwaukee, and Northwestern Mutual are partnering to create the Northwestern Mutual Data Science Institute, a $35-40 million initiative. The collaboration aims to help Milwaukee to become "a national hub for technology, research, business, and talent development." Northwestern Mutual will provide classroom space in its Cream City Labs, an new innovation lab that is currently under construction. The lab will be housed within the company's downtown Milwaukee campus. 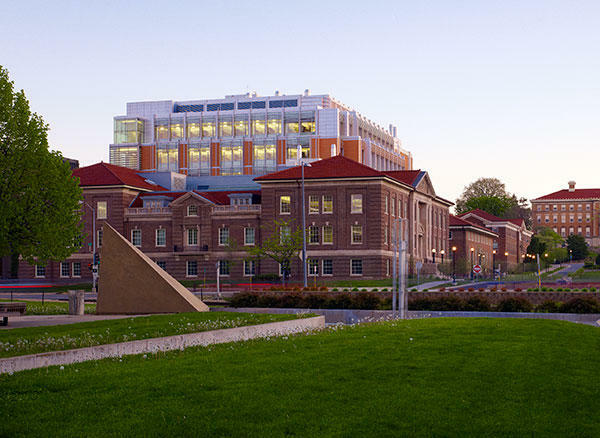 Over the next five years, Northwestern Mutual and its foundation will contribute $15 million to support an endowed professorship at each university, research projects, and other initiatives related to data science. "Data science," UWM Professor Purush Papatla explains, "is essentially taking large amounts of historical data on anything and using that data to understand what is going on as a means of predicting what might happen and understanding what to do in order to optimize outcomes." Purush, an associate dean of academic affairs at Sheldon Lubar School of Business at UWM, uses this example to explain how businesses use data science: "If you take Instagram, on any given day, on the average, about 90 million photos are posted. On Twitter, about half a billion tweets go out. People are essentially sharing their thoughts on things. So, if there's a way for businesses to understand what people are thinking about, what their preferences are, what their needs are by mining through this data, they can come out with better products and reach the right customers, thereby improving consumer welfare and decreasing their costs." The data science landscape is an evolving field that is significantly different than it was even 5-10 years ago. Professor Shion Guha, director of Marquette’s Data Science Initiative, says, "The world is a lot more complicated. A lot of the low-hanging fruit has already been plucked with regards to specific research questions. Nowadays we need to train students with a lot more skills. The bar is actually higher. 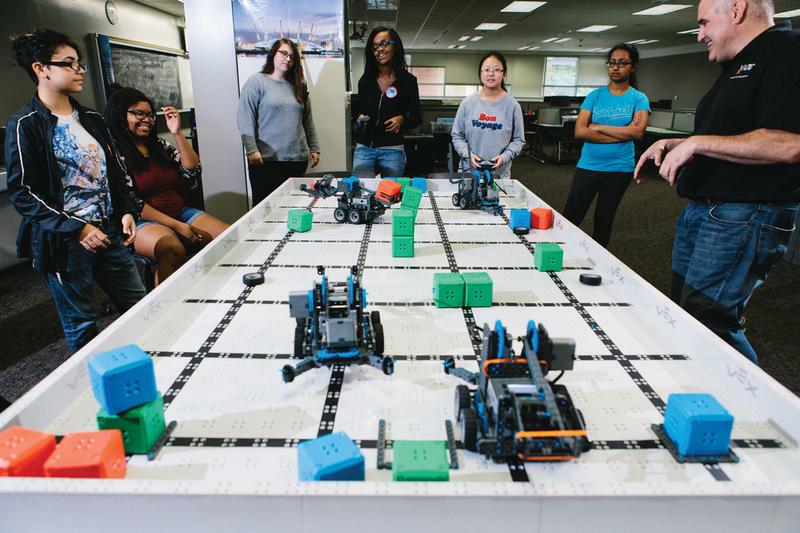 But it's also an exciting opportunity for students to learn more complex skills." He says the new institue will help foster better tri-institutional collaborations, and will help provide data science jobs for students of all degree levels - bachelors degrees, masters degrees, and PhDs. As technology develops, the “world of work” is trying to keep up. And one unlikely hero has been quietly working to fill that gap: technical colleges. As a state that once was a leader in manufacturing and factory jobs, Wisconsin has experienced the rapid pace of economic change firsthand. Like many other job markets, Wisconsin now faces a skills gap. And tech colleges, traditionally known and created to train for careers in the blue-collar trades, have made moves over the past several years to expand their role, creating programs for newer, middle-skill positions. It’s back to school time and many kids are making transitions: perhaps entering kindergarten, middle or high school, or maybe a new district. But one of the biggest changes comes in that fall when a son or daughter heads off to be a college freshman. Lake Effect contributor Jessie Garcia has been documenting two families from Shorewood for the past four months. Each was getting ready to launch their eldest away from the nest for the first time, and Garcia introduces us to their stories in this feature. As Wisconsin's legislature struggles to finish its biennial budget, the UW Board of Regents has already approved its financial blueprint for the upcoming year.